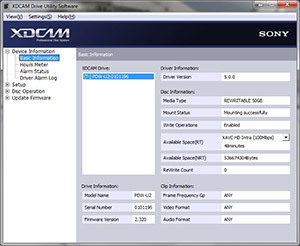 XDCAM Drive Software is a basic utility that allows users to read/write files from a computer connected to a PDW-U1/U2 Professional Disc Drive Unit. Handling video and audio data recorded with an XDCAM camcorder as files. 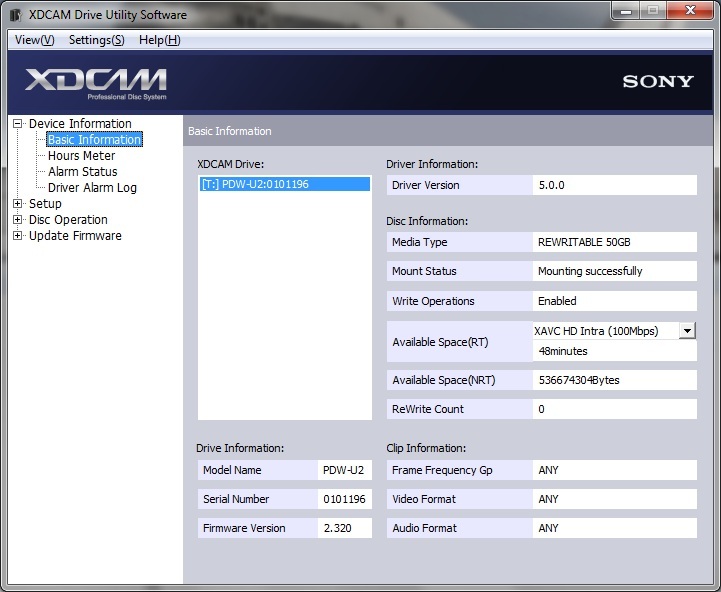 Following features are available on the XDCAM Drive Utility that comes with XDCAM Drive Software. On Windows, remove any previous version of XDCAM Drive Software using the Add/Remove Programs tool in the Control Panel and then restart your computer before installing the new version.